Reusing design models for construction detailing using Revit Parts just got easier. 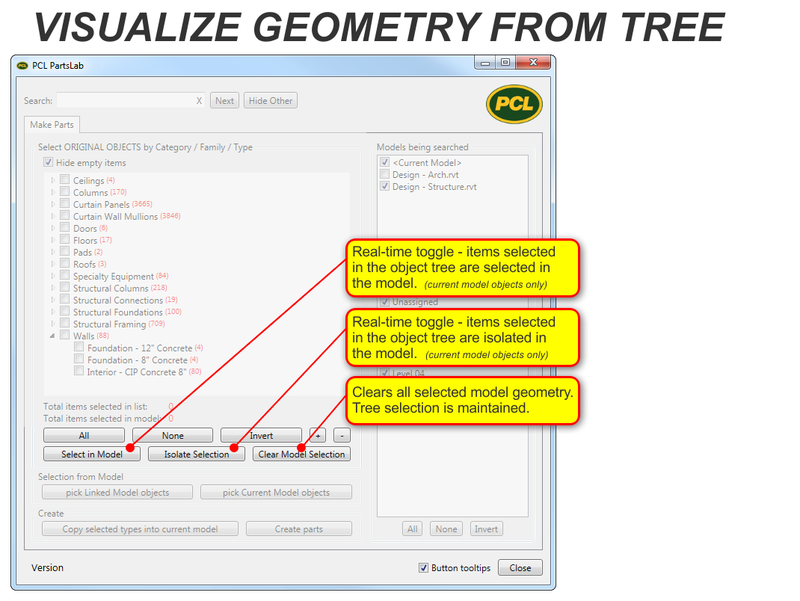 PCL PartsLab 4.0 has new tools that visualize and isolate all overlap conditions with Parts when those design models are less than perfect. 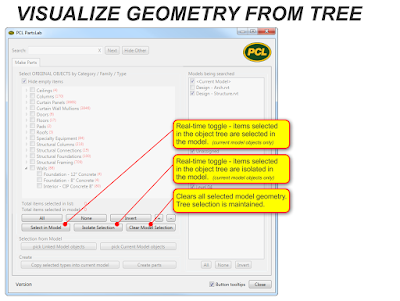 With a single click, these new features isolate modeling busts in the design model – floors overlapping other floors, walls overlapping walls, floors penetrating walls – you get the idea. All occurrences of overlapping parts across all categories can be instantly isolated and visualized, preventing overreporting of volumes in take-offs and incorrect dimensioning to overlapping faces. 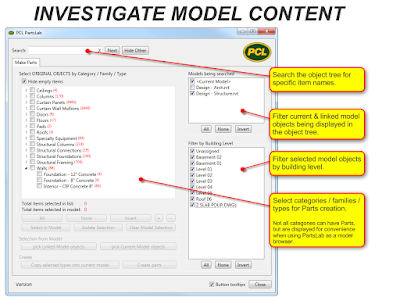 These Part overlap conditions can increase when more than one design model is linked into a construction model, and Parts created from those linked model objects conflict with each other. 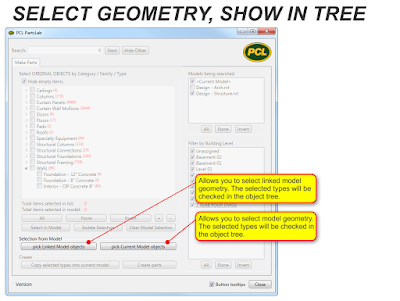 PCL’s main use of Parts in Revit is with linked concrete design models (authored by others), creating pour breaks / slab depressions / blockouts / slab edge adjustments / hosted reinforcement & embeds / take-offs in the construction model. 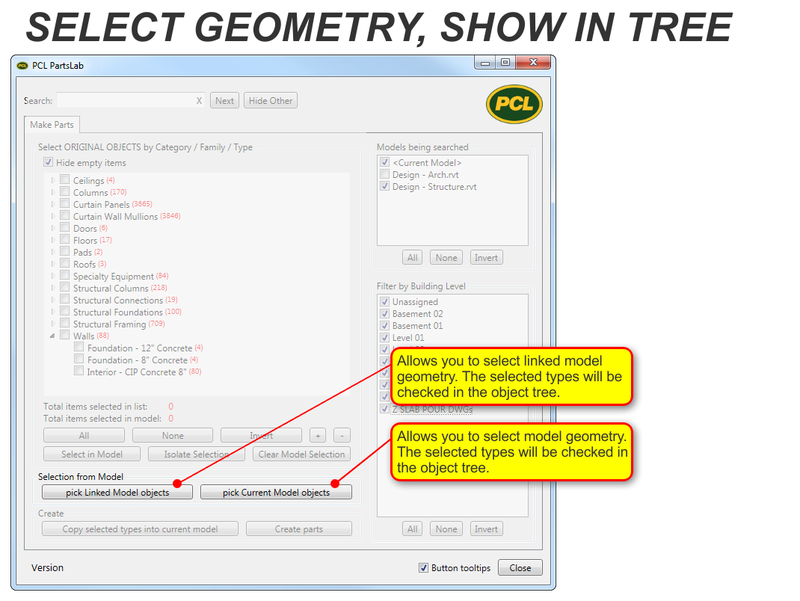 You shouldn’t have to recreate the structure model. 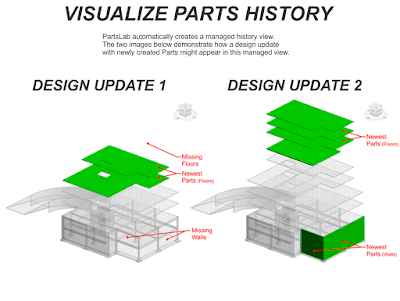 If you manage construction models and aren’t using Revit Parts to repurpose your project design models, you’re missing out on the real BIM workflow with construction modeling and detailing. And of course, it’s still free. 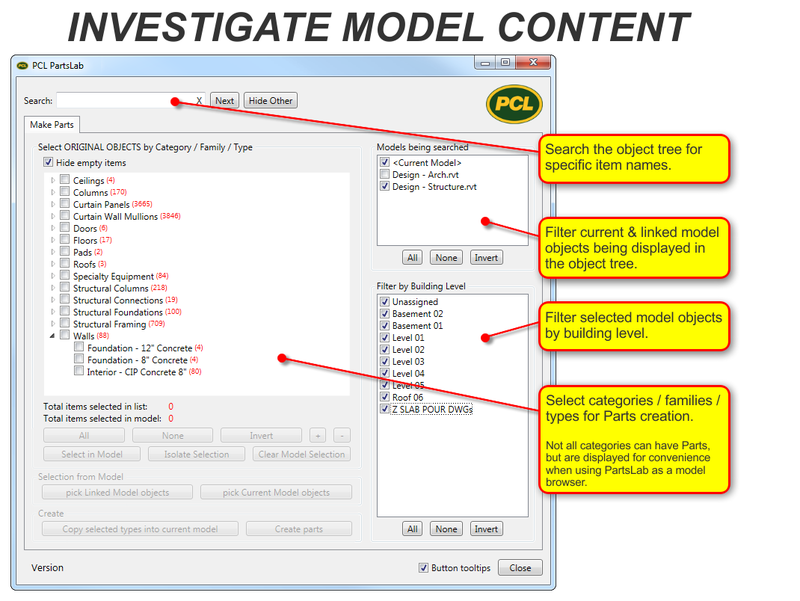 PCL PartsLab is brought to you by PCL Construction. It's free.